road construction equipment Synchronous chip sealer china manufacturer Chengli Special Automobile Co.,ltd. 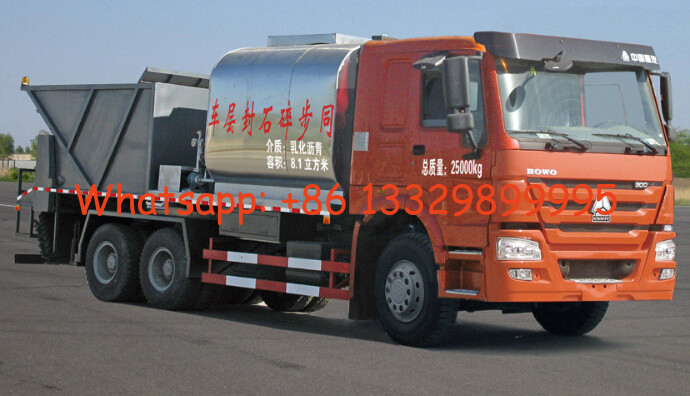 OTHERS 1-Transport medium is liquid asphalt with density 970KGS/M3. 4-The cab can be chosen by different chassis. 5-Protective material: carbon steel Q235A. 4, the work of advancing direction and increase the safety of construction, the harm to the body greatly reduced, minimize the environmental impact .